RELAX & UNWIND Have you ever found in today’s busy world, going on a much deserved break may seem a distant reality? Work or business sneaks home, making it hard to ever fully relax. Research proves we need our minds to switch off and recover. When we do more fun, focused, productive and present. A home Cinema is a sanctuary you can visit on any day off the week, just down the hallway. Stepping in to the cinema sanctuary, allows us to press pause on reality and escape in to a new world, giving us some much needed relaxation. You completely unwind while immersed in the space in the comfort and safety of your own with the ones you loves. BRING BACK ADVENTURE & EXCITEMENT Despite all the apps and latest technology, we are still time poor more than ever. The safety and comfort of our own homes provides a sanctuary as we are not able to go out as much as we used to. We find there is way to bring back adventure and excitement by uniting the magic and art of cinema. We can bring the world out-there – inside the home. All you have to do is press play to pause. A Home Cinema is your escape, any day of the week. Enlighten Systems was originally founded in the UK back in 2007, bringing Home Automation solutions to those pioneering clients that wanted to ride the first wave of technological solutions. Today, five years after their move ‘Down Under’ Richard and his family have settled into their new lives in the beautiful climate and landscape of Western Australia, and Richard is once again following his passion for automation. Located just South of Perth, Richard is utilising his experience and expertise to the help the increasing number of Australian home and business owners who want to enjoy the benefits that integrated automation systems can bring to their lives. Richard’s main ethos is founded on understanding how clients use their spaces, their interests, their lifestyles or their business. It is only with this understanding, Richard and his team can design systems which balance the equation of just how much and which types of automation are needed. Whether that be audio & visual, light & shade, security & protection or often a custom integrated blend of solutions that consistently and effortlessly creates elegant and beautiful spaces that deliver the ambiance and functionality that every unique home or business owner desires. Richard is not ony truly passionate about creating intelligent spaces, but seeks to share his knowledge educating his customers in how to make the most of their new ‘enlightened’ spaces not just on day one, but also into the future. Whether the job is big or small, residential or commercial, each deserves the same commitment when it comes to identifying and applying the right solution. Visit our showroom in Falcon, WA or call us for an in-home consultation. Truly thoughtful home automation considers the lifestyle you want Home automation isn't just about installing technology. 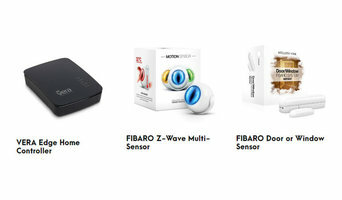 Thoughtful home automation gives you a solution that works with you. When you understand that, you're ready to create the perfect system. Moorabbin Television Services have been servicing the electrical Industry for over 40 years. We have been installing Audio Visual Equipment in homes and businesses throughout Melbourne. 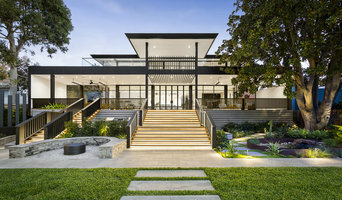 Moorabbin Television Services are specialists in complete home automation solutions and are authorized Control 4 dealers. We are not limited to repairing and installing television we can design and install complete smart home solutions. Invision Home Theatre in Adelaide is a leading provider of Home Theatre installation services and TV wall mount installations in Adelaide. Experienced with all types of Home Theatre and audio visual systems and installations. 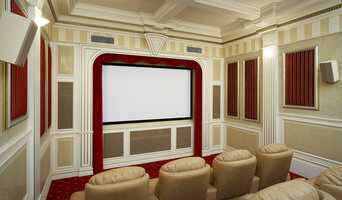 We're able to help you with every aspect of your Home Theatre requirements, from TV setup and TV Wall Mount Installations, right through to designing and installing a custom Home Theatre in Adelaide. Our staff are trained in all aspects of audio visual services including TV Wall Mounting, Projector Installation, Universal Remote Configuration, Antenna Installation, Multi Room Audio, Home Automation, CCTV, and Home Theatre Adelaide, we are able to provide useful and professional advise when it comes to purchasing your new equipment, and can help you at every step of the way. 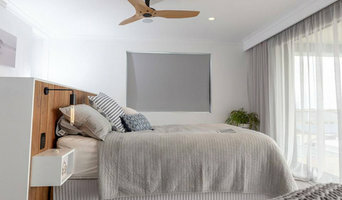 When it comes to any audio visual requirement, TV Wall Mount Installation or Home Theatre in Adelaide, Invision Home Theatre have built our reputation based around 100% customer satisfaction, and pride ourselves on getting the job done right. At Invision Home Theatre in Adelaide we are constantly following digital trends and technology advancements to ensure that any service we provide is the best it can be.